Taking pictures is no longer just a means of creating visual memories. We like to share them on social networks and get as many likes as we can from the people who see them. But with so many pictures being posted daily, how can you make your picture stand out in the crowd? 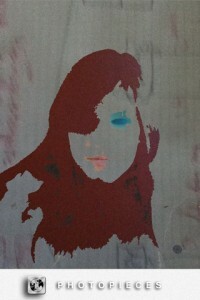 The answer may lie with the new PhotoPieces app from the AppStore. 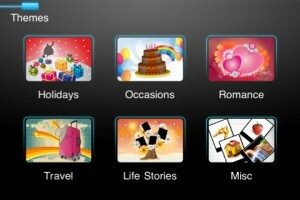 PhotoPieces helps you take fun pictures using templates. You don’t remember how long it has been since you last posted a picture on your profile, because all you did in the past months was work, work and work some more? Take a minute off, look around your office and snap a couple of pictures. This is no magic app, there’s no hocus-pocus involved and it’s definitely not a make-believe app. Healing Waves is the iPhone app to have around when you’re troubled, stressed and generally need soothing. The app itself may not do much, it may not have a great design, great functionality and it may even be sluggish at times. But what you’re paying for is the music. When working, I often pop in some chillout music like Enigma or Enya. It’s really calming, takes the stress away as if by magic and I tend to forget that what I do is actually work, and hence cannot be appropriately labelled relaxing. Healing Waves proposes a new type of music, which may not be suited for a work environment, but as I’m writing this review, words just seem to flow on the page while listening to tracks from Clifford White’s Ascension album. Let’s say you have an idea and you want to share it. You start telling others what it is about and after wasting time and words, you realize that they just don’t see it. That’s when Visualize steps in and helps you let others see what you can, because sometimes it’s easier to show than to tell. All you need to do is download the app and start spreading your vision. Press the “Add” button to add a project and have fun with it. Use the different options at the bottom of the screen to make your ideas come alive. Need a video & movie player with support for more file formats? 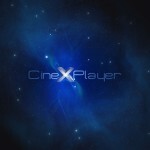 Then CineXPlayer from NXP Software might be for you, supporting .Xvid, .mov, .m4p & .avi. 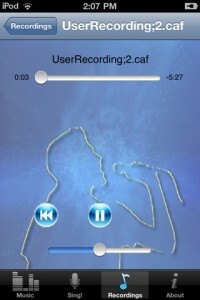 It’s now time for you singers out there to feast your eyes on another attempt to create the ultimate Karaoke app. After last week’s Karaoke Now, it’s time for SingIt to have a shot at the big title. SingIt is relatively different from Karaoke Now, because it doesn’t require you to have or buy any special karaoke music. 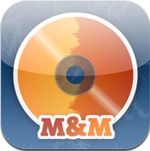 The app works great with any song from your entire iPod music library. With that, however, comes a price. Your own voice is recorded on top of the original song, so you’re basically doing a classic sing-along. To make it work, simply start up the app, but make sure there are songs in your music library on your device. Choose a song to sing along to, then press record. You’ll get a classic countdown from 3, and then the red “On Air” button lights up. The music starts and you have to know the lyrics and when to start singing. Click here to get the bite on - How Do You SingIt?